New Zealand songwriter, James Milne better known as Lawrence Arabia has a gleefully unapologetic gift when it comes to melody. One might say an unabashed love of it.Harry Nilsson comes immediately to mind. Donovan. Elliott Smith. The Beatles of course. And that's a good thing. I can’t think of anything I’d rather do on a hot day than take a dip in ‘The Lake’, the first cut off Absolute Truth. ‘Sweet Dissatisfaction’ is undeniably sweet to the ear and the furthest thing from dissastifaction. It will leave you wanting more---and more is on offer. ‘The Old Dancefloor’ follows and it is pure charm. The chirpy keyboards of ‘I Waste My Time’ work in wonderful contrast to Milne’s yearning falsetto. While Milne may wear his sense of humor on his sleeve, up within it lies some real heart. ‘Brain Gym’ is pure bedsit Brian Wilson, where the protagonist goes through the gymnastics of second guessing himself over the one he fancies. Simply gorgeous and witty. There are flirtations with Scott Walker 60’s Lounge throughout this album, but it never falls into cutesy pastiche or kitch. ‘O Heathcote’ is a prime example. Where so many acts these days get bogged down in self-consciousness, Milne's melodic confections breeze along effortlessly. ‘Another Century’ reminds me of ABBA cut with a dash of Morrissey. One thing is sure, the man isn’t afraid of Pop. He knows its value and wields its charms with a nimble hand. There's irony to be sure, but not the heavy handed, bitter variety that one sometimes finds in Pulp. Not that I’m down on Cocker or Pulp really, it’s just refreshing to hear something that dares to be so bravely pleasant. Yet, still manages to be subtle and subversive. ‘The Palest of Them All’ is a gorgeous love song, another bit of audio butterscotch in this open candy store of an album. Simply irresistible. After playing sideman to the likes of Feist and Okkervil River it’s a joy to hear Milne aka Lawrence Arabia take center stage. The swooning delights of ‘Mask of Maturity’ touches on classic Elvis Costello Imperial Bedroom territory with is Beatlesque arrangements and biting lyrics. ‘Time is going to tell we’re all going to hell,” Milne croons. The closing track begs the question, ‘What Became of That Angry Young Man?’ With all the delights on offer here, who misses him? 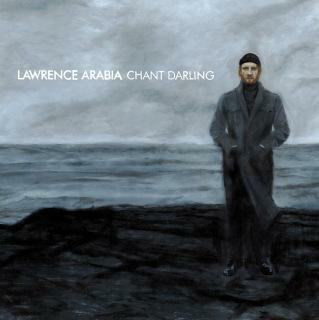 The world needs a little Absolute Truth and for this listener, Lawrence Arabia more than hits the sweet spot. This is my first introduction to Lawrence Arabia and James Milne. Suffice it to say, he's caught my ear. If you’re having a rotten day, do yourself a favor and give Absolute Truth a spin. This review is my first introduction to the guy! Nice one. I quite like it as well.